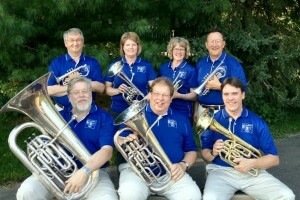 The brass septet “Ameriikan Poijat” (Boys of America) has been appearing at ethnic festivals, regional tours, and music conferences, presenting authentic social dance music and concert repertoire. During the 1980′s, Paul Niemistö, the group’s founder, made contact with many Finnish brass players and discovering this relatively unknown musical tradition. In 1990 the group was formed, made up primarily of Midwestern musicians of Finnish descent.